Congressman Mike Doyle, CWA Leaders, and Pittsburgh United are asking how Pennsylvania consumers and workers will be impacted by the proposed T-Mobile / Sprint merger. 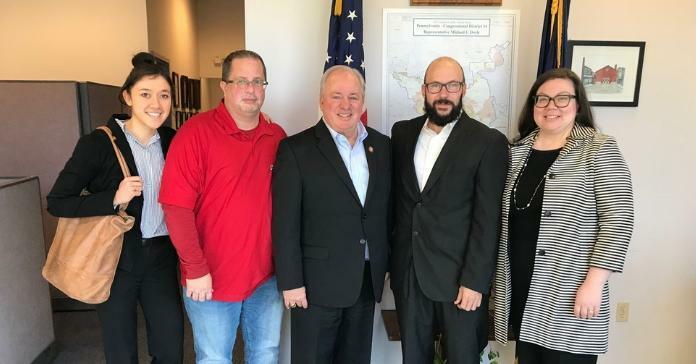 CWA Sr. Campaign Lead Sandra Lane, CWA Local 13000 Western Regional VP Greg Bialek, PA Congressman Mike Doyle, CWA Local 13000 ATT Unit President James Stiffey, and Pittsburgh United Director Jennifer Rafanan-Kennedy. Read CWA's assessment of the T-Mobile/Sprint merger here.